After one of our technicians was called out to a café in Wilmslow, it clearly shows that Rats are not leaving our homes and workplaces even when the weather has now warmed up. Usually rats don't want to be anywhere near us, but with plenty of food, water and harbourage being so readily available they're staying put. I encourage you all to check all those nooks and crannies, voids and the unseen places for rodent activity. 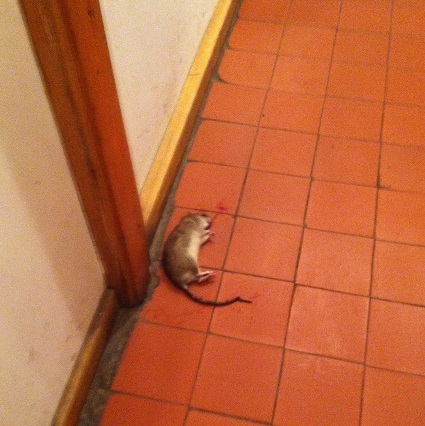 Customers are now calling me more and more often about a problem with mice in the home, in particular the kitchen. Check under kitchen unit and under the work tops for split foodstuffs, as these places are out of view and often missed. Get some DIY done by checking for holes, cracks and crevices as likely entey points for the rodent. Fill these gaps with a wire wool as a tempory measure, but get a professional in to ensure the job is done correctly. The picture here show mice dropping around the of washing machine, after the had gnawed through the waste pipe!!!!! 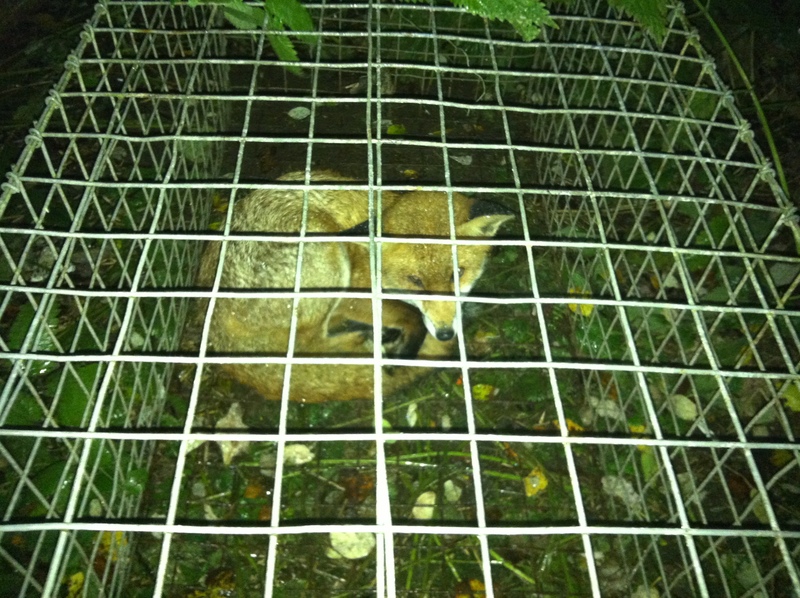 This little fella had to be caught in a primary school in Manchester after becoming over friendly with the pupils. 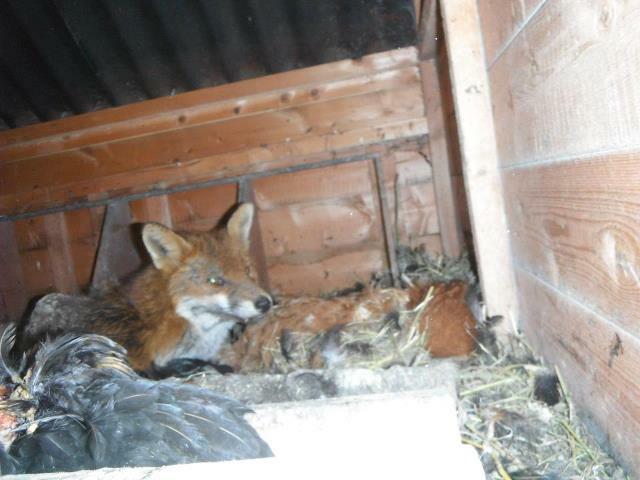 They were led to believe that feeding the foxes was a good thing and helped the wildlife. However, this is quite the opposite as the Fox (Vulpes vulpes) not knowing our boundries decided that the door of the school canteen was open invitation and wanted to "gate crash" lunch time. 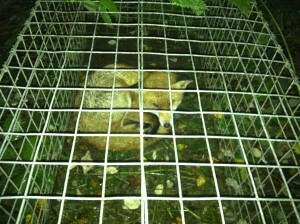 The Pest control Technician, trapped and humanely dispatched the fox during the early hours this morning. Today Town & Country Pest control were involved with removing a pigeon from a wall cavity. 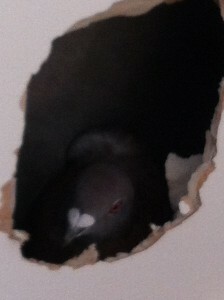 Using modern equipment and a little brute force the bird was quickly removed and humanely dispatched by a technician. Chimney pots and holes in vents are the usual suspect locations as to how the problem bird will enter your home. These need to be checked and any problems rectified immediately. Squirrels will try anything to get into your home, they particular like your attic or loft. 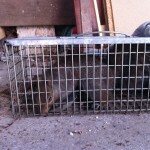 Once a squirrel has got into your attic or loft space then they can become a real pain to get rid of by yourself. Today, Town & Country pets control were called out to a squirrels in a loft and were also starting to chew through wires and obviuosly this could have led to a fire in your home. The squirrels was trapped and then dispatched humanly by the technician. 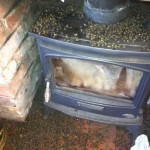 Bees nests are currently the biggest problem as a pest in the UK and throughout the county of Cheshire. So far i have been called out to over 30 bees nests in the last 9 days, some are easily removed by calling out the beekeeping assocication and some have to be destroyed. Bees are protected unless they are causing problems to the household, therefore have to removed. If the nest cannot be removed by the Bee Keeping association, maybe inside a cavity then a pest controller will need to destroyed by the use of insecticides. This nest probably held around 5,000 - 7,000 bees and were colonised deep inside a chimney flue and took some serious dislodging. Wasp nest removal is now becoming the biggest reason to keep a pest controller busy. At this time of year Wasps are getting ready to make their new nests, but usually move into and increase the size of an orignating one from last year. Sometimes you will also see golf ball or tennis ball size nests. These are failed Queen nests, that were from the female off-spring from the year before and usually dormant. If you think, "How do i get rid of a wasp nest?" then please do not try and do it yourself and give us a call us at Town And Country for "FREE" advice. 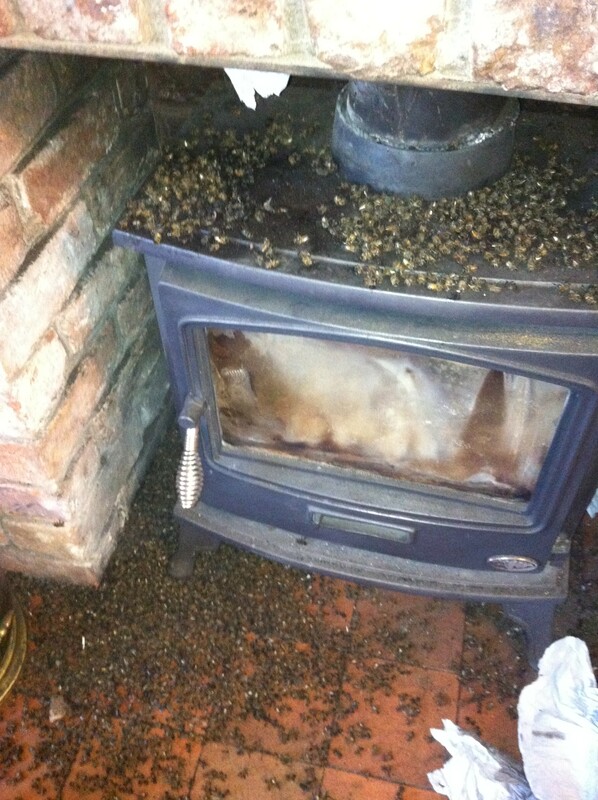 At £30 we will get rid of your exisiting wasp nest and also help prevent a wasp or nest wanting to return. All along Bolling Brook rat nests are found by our pest controllers. We have now accounted for well over 150 rats throughout the Langley & Sutton area, but they are still on the increase. Its that time of year where Rats need to feed their young and will push their boundries further to get that food. Sometimes this means you will be seeing rats appear from your garden or a shed and then enter your homes. Rat prevention is better than any cure. 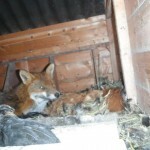 For free advice on how to create rat preventive measures, then please call...07971 571171.